The Temple football team runs on the field before they played Villanova on Saturday, September 9, 2017 in Philadelphia. Now is the time to ask the Eagles if they could do North Philly a favor: Keep Temple University from building that monstrosity of a football stadium on campus. After all, the Eagles have built their Cinderella brand all season on the strength of being the most "socially conscious" team in the NFL. So, this would be a good time for the Eagles organization to find beleaguered North Philadelphians a solution to the football stadium crisis brewing in our backyards. Temple has greedily consumed the north-central section of Philly for years, increasingly expanding its footprint in a bid to become the world's largest urban university. Not to knock it too much — so much of North Philly is dejected into disrepair that folks who grew up there should be honest with themselves. Who wouldn't want to flip it? And what city government wouldn't want a generously funded public university to renovate? At issue is the way Temple pursues that dream, forcing residents out and creating mass displacement. Studies already suggest a direct correlation between aggressive gentrification and aggravated low-income outcomes. As shown by Hidden City Philadelphia's David Hilbert, there has already been a 19 percent decrease in black North Central Philly residents — leading to the growth of whiter residents and mostly white Temple students. A 12 percent decline in certain black residential tracts between 2000 and 2014, according to Hilbert, translated into those residents "mov[ing] into more middle-income black neighborhoods like Wynnefield and Overbrook, while others relocated into pockets of new poverty in the lower Northeast. Many left the city altogether." We can't ignore the Federal Reserve Bank of Philadelphia's observation that more than 20 percent of vulnerable Philly residents who are pushed from one neighborhood to another end up in an even worse 'hood. While, yes, Temple is — as Fed Philly notes — an "anchor institution," we still have to ask whom that helps. And if the current rate of Temple expansion is already displacing residents, then we can only assume a football stadium in the middle of North Philly won't make it any better. 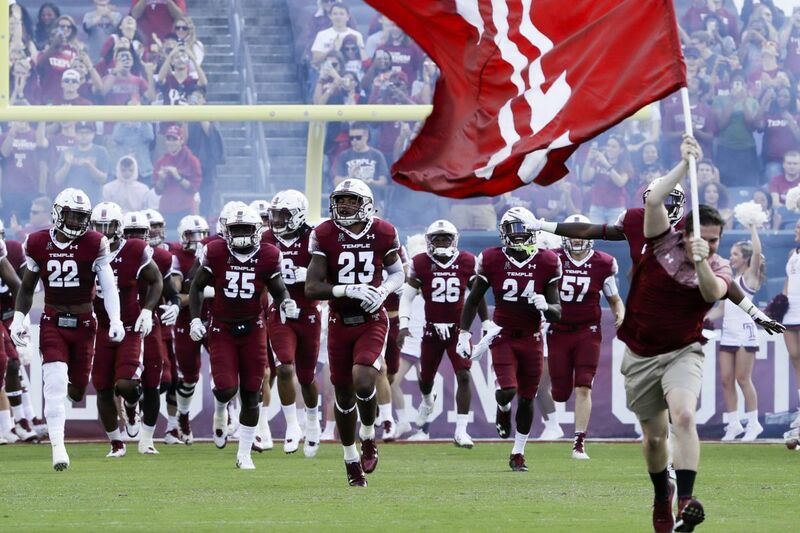 Temple's Owls continuing to play at the home of the now-Super Bowl champs is a better option. It's better than the high displacement, environmental impact, massive traffic jams, and logistical headaches that a stadium would cause for North Philly. The Linc is the stadium that housed the Eagles' remarkable playoff run; it is the home of a team that is now nationally beloved. For whatever reason, the Eagles are mugging Temple for an extra $1 million a year to lease the Linc, in addition to a $12 million deposit. Shows how much the Eagles care about higher education, huh? Even Mayor Kenney blasted Eagles ownership for the move last year. But with City Hall caught up in Super Bowl euphoria and the money grab that comes from anticipated visibility and tourism, don't expect any follow-up on that. The Eagles are in a position to get anything they want from the city. But the economics of a Temple-owned stadium make little sense in terms of the return on investment. For one, Temple risks continually angering its neighbors, and there's no indication the university has a plan to repair institutional-residential relations. Temple figures all it needs is the backing of local politicians, including those — like Kenney — whom they'll expect to back off, considering the Eagles' Super Bowl win. And it's not like City Council President Darrell Clarke, who represents Temple's district, is going to do anything, since he appears beholden to powerful university interests. "It's Temple's responsibility to get the community on board. It's not my responsibility," Clarke reportedly shrugged. But what if a large and active portion of the community is, ummm, deciding that it's not interested? Also, what will make Temple's different from other college football stadiums? College football programs, according to many recent studies, are proven fiscal black holes for everyone involved. We already know North Philly residents won't be getting anything out of the stadium. Nor is it likely Temple players will be getting paid. Have they figured out a way to pay for that $130 million, easily overrunable project other than borrowing off bonds and increasing tuition? Pennsylvania state tuition is already the third highest in the nation and Temple has raised its fees by 2.5 percent this school year. An SB Nation study of the cities where college and professional teams share stadiums shows that, for the most part (with the Patriots' Gillette Stadium being the exception), it works. In fact, the Owls-Eagles collaboration was highlighted as the most ideal of college-pro arrangements. Who really wins with a new football stadium? The better, least costly and more peace-of-mind option is to simply keep the Owls at the Linc. So why are influencers on both sides trying to mess that up and, in the end, ruin it for the average folks and fans in the middle of it?